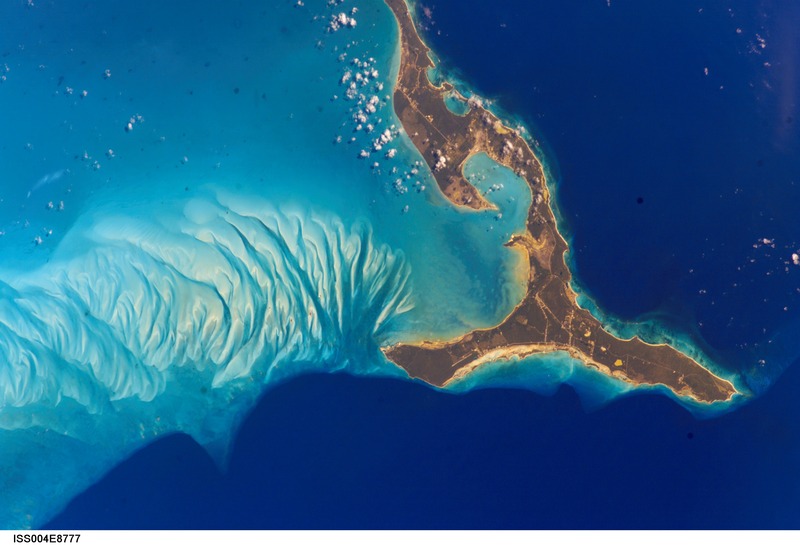 This photograph taken from the Internation Space Station shows the shallow sand bars to the west (left side) of Eleuthera Island in the Bahamas. The water there is only a few feet deep. To the east (right side) the seep water is a pure blue-no subsurface features are visible. This 2002 image was captured by astronauts aboard the International Space Station. 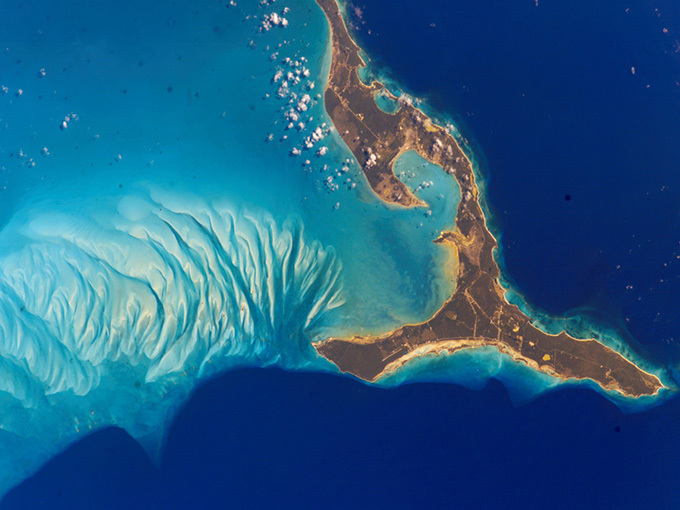 Located in the middle of the Bahamas, Eleuthra Island is 110 miles long, and in places just over a mile wide. Around 8,000 people live there. Ship repair, conversion and construction firm Drydocks World has signed a memorandum of understanding (MoU) with BIG InvestConsult AG, a Swiss company representing Polish firm Deep Ocean Technology (DOT) which has developed highly innovative designs for an underwater hotel. The proposal still needs to be refined but currently suggests a Water Discus Hotel in Dubai with disc-shaped volumes both above and below the waterline. 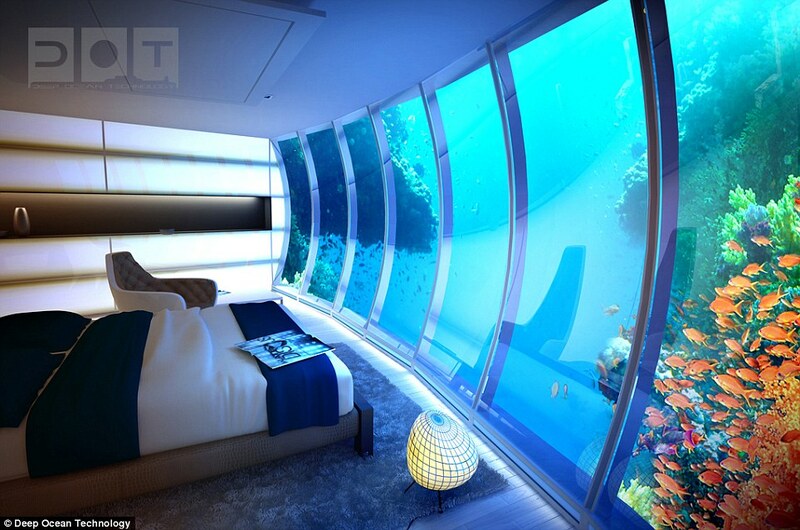 Futuristic renderings of the concepts show modest bedroom units with generous panes of glass framing the vibrant underwater seascape of the Gulf. 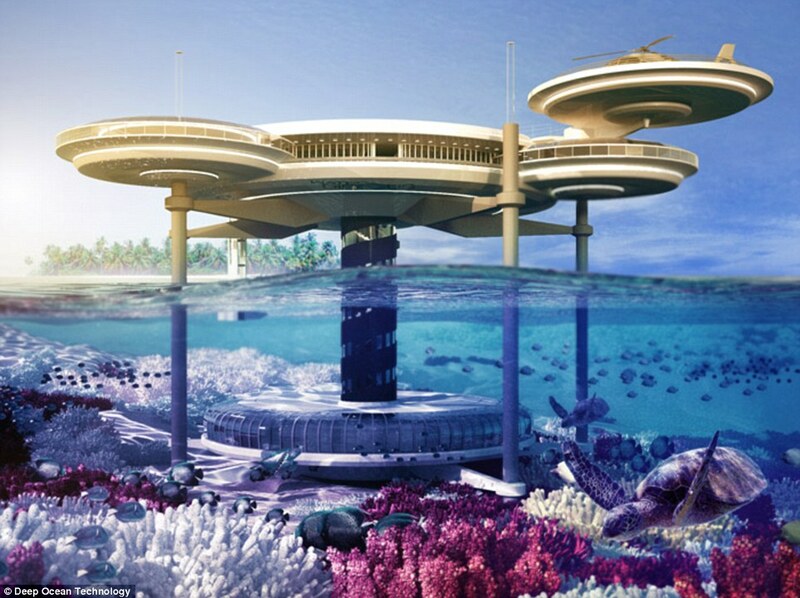 Twenty-one underwater two-person rooms are proposed for the hotel with privacy provided by curtains of varying transparency, an underwater diving centre with all necessary air locks and decompression chambers, and a spa, luscious garden and open terrace above the waterline. Underwater venues of this nature are unheard of on this scale and DOT has developed the technology to be as attractive as possible to potential investors. Each structure is altered to the specific site coastline and depth of water, and can be easily extended or redeveloped by removing or adding additional discs. 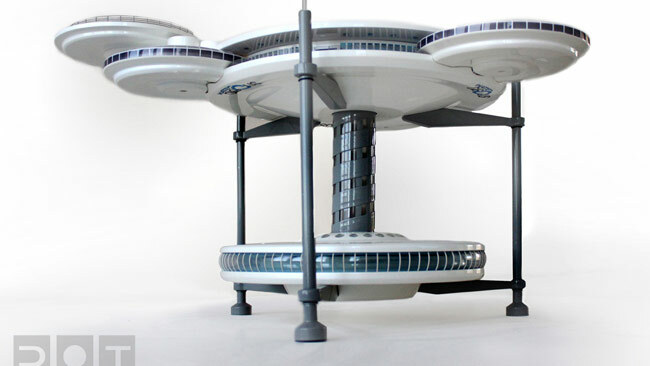 There is even the option to construct an entire resort out of these innovative discs. One of the upper plates has the ability to be used as a helipad and a ship’s radio system, high-speed internet access and satellite telephones provide the necessary amenities for those travelling on business. Surely it’s what many of us dream about while trudging into the office during another April downpour. Why not escape the rat race and the grey skies to live on a sunny tropical island? Brendon Grimshaw has done just that. 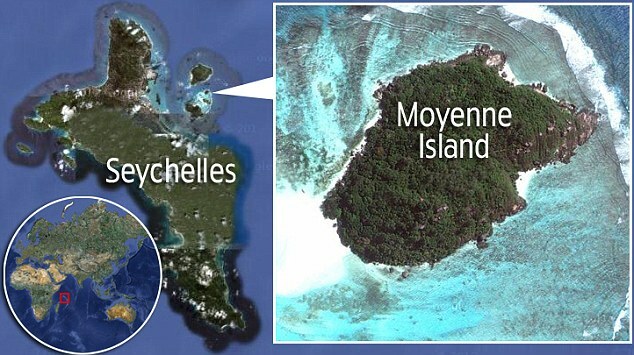 In 1962, the Yorkshireman bought Moyenne - a small island just half a mile wide - in the Seychelles for the princely sum of £8,000, and he has been living there ever since. The sprightly 86-year-old wakes to the sound of rustling palm trees and the Indian Ocean lapping against the shore. He spends his days caring for the island’s tortoises and birds that also call it home. When he bought Moyenne, it was overgrown with scrub so dense that coconuts could not fall to the ground. But Brendon worked tirelessly to transform the island into his own little patch of heaven. Living in this unique wildlife reserve, he has survived tropical storms, sharks, ghosts, a coup d’etat in the Seychelles and a mercenary raid. 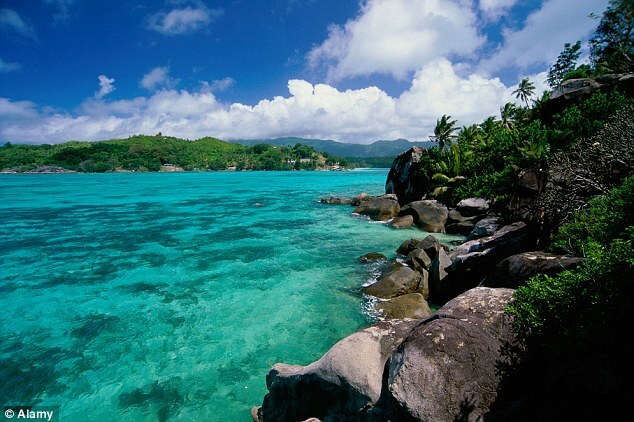 Scattered over a vast area of the Indian Ocean, the 115 islands of the Seychelles are among the most spectacular on the planet. There are just 85,000 inhabitants, but hundreds of secluded beaches. I visited the Seychelles while filming my new BBC TV series, to find Somali pirates in the prisons and Dutch Special Forces training local troops to repel more attacks. But it was a visit to Brendon’s island, and meeting the man himself, that caught my imagination. Just a hop away from the capital, Victoria, on the island of Mahe, and surrounded by azure and turquoise waters, the 22½ acres of Moyenne stand out from the neighbouring islands, which are owned by billionaires, Arab princes and Russian oligarchs, and include some of the most glorious holiday retreats in the world. Surrounded by protective coral reef, Moyenne looked wild and uninhabited - until I caught a glimpse of a wooden building poking through the trees. I was warmly greeted by Brendon in his T-shirt and shorts, standing on a picture-perfect beach. Lithe, wiry and tanned, he still has his Dewsbury accent, which seems wildly out of place in such an exotic setting. Together we climbed steps hewn out of the rock and past clusters of palm trees to where Brendon’s one-storey wooden house clings to the hillside. It’s where he looks after his 120 giant tortoises. A whopper was sitting on the steps. Among the world’s longest living creatures, they have been known to survive for more than 180 years. Giant tortoises are indigenous to the Seychelles, but have been killed off on most of the other islands. Brendon has been gradually reintroducing them to his corner of the Indian Ocean, painting them with identifying numbers and giving them names such as Alice, Florita and Four Degrees South (the island’s latitude). His house is eccentric and well-worn, a bit like its owner, and furnished with African souvenirs and curios that testify to Brendon’s years in the tropics. There was the indigenous pigeon Hollandais, so named because it shares the colours of the Dutch flag, and the beautiful reddish-orange fody weaver bird, a native of Madagascar. As they feasted on rice from the five 50kg bags Brendon puts out each week, they made a magnificent sight. We set off for a walk around Moyenne, with Brendon bounding along in flip-flops. He first arrived in the Seychelles on holiday in the late Fifties, restless and seeking adventure after years spent working as a newspaperman in Africa. ‘I started thinking about buying property almost as soon as I arrived, but I couldn’t find the right place,’ he told me. Brendon had dinner with the owner and a deal was done. Yorkshire’s Robinson Crusoe had found his paradise. He hired his own Man Friday, a Seychellois called Rene Lafortune, who helped him transform Moyenne. Together they planted palm trees, mango and paw-paw. They saved rainwater and pumped it up the hillside by hand, or rowed back to the main island to collect a barrel of fresh water. It was backbreaking, exhausting work. ‘My hands were covered in blisters,’ said Brendon. When he arrived there were no birds on the island, so he brought ten from a neighbouring island - which promptly flew straight back. He brought a few more, which also disappeared. But then a couple returned. Brendon started feeding them, and more birds settled on the island. Slowly the trees grew and fruited, and eventually water, electricity and a phone cable were piped across from Mahe. ‘But we weren’t doing it to make it into a national park or anything like that,’ said Brendon. It might have been accidental conservation, but while the rest of us have been busy concreting over our front gardens, Brendon was creating a second Eden. Rene died a few years ago, so now the tortoises and several pet dogs are Brendon’s companions. I asked him if he’s ever been lonely. Brendon is not a recluse. He relishes visitors and company, and regrets not marrying. Though his mother always refused to visit Moyenne because she didn’t much like ‘abroad’, Brendon’s sister Sandra moved to Mahe with her husband and opened a cafe. And when his father Raymond was widowed in 1981, he accepted Brendon’s invitation to come and live on Moyenne. Raymond died following a fall five years later and is buried on the island next to a grave Brendon has already dug for himself. Even now, he is not alone. Day-trippers are allowed to visit from Mahe for £10 each. Brendon has a strict rule that no one is allowed to stay overnight, but some visitors try to linger a little longer. A Saudi prince once offered him a blank cheque for Moyenne, and other rich visitors have also been so entranced they’ve tried to buy it on the spot. But Brendon certainly isn’t selling. ‘The only reason someone would want to buy this island is to build a big hotel,’ he said. Yes, of course he wants to keep his hideaway pristine, but perhaps he still has hopes of finding the pirate treasure rumoured to be buried somewhere on the island. More than 200 years ago, the Seychelles were a hideaway for pirates, including the infamous Oliver Levasseur, known as The Buzzard, who was hanged in Mauritius in July 1730. He plagued the shipping in the western Indian Ocean, plundering their valuable cargoes. 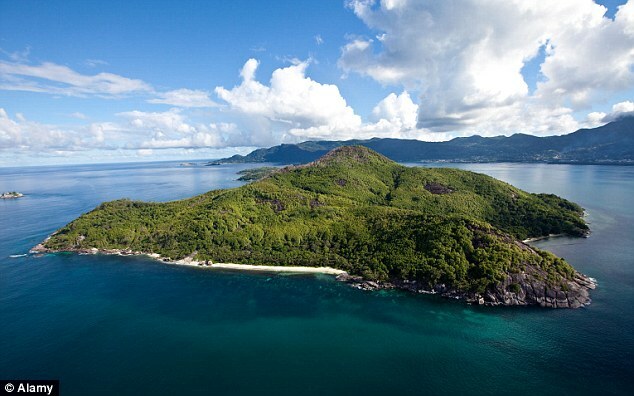 His missing hoards of treasure, including the fabled Portuguese Fiery Cross of Goa encrusted with diamonds and rubies, were buried on islands in the Seychelles, including Moyenne. Or at least that’s what the stories say. One treasure trove is supposed to be worth more than £30 million. After buying the island, Brendon admits he spent much of his spare time searching for the fortune, poring over old maps, hunting for clues and shifting tons of rock at two excavation sites. There are graves on the island that are said to be the burial sites of pirates, and Brendon has found some evidence of man-made hiding places. But if he found gold, he isn’t letting on. He loves the pirate tales as much as anyone, and seems happy to feed the rumours with a conspiratorial nudge and a wink. But it’s fair to say Brendon has never been motivated by money. He could have taken the Saudi prince’s blank cheque many years ago and moved to a luxurious retirement home. 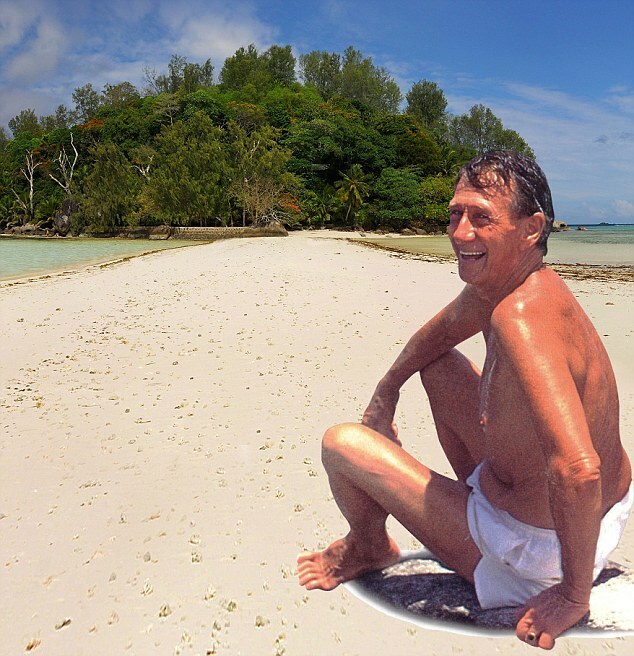 Instead he has worked tirelessly to transform and preserve Moyenne, ensuring that when he finally does leave the island it will be protected and passed to the people of the Seychelles as a protected national park. Moyenne Island National Park boasts a glorious array of wildlife, along with 40 species of palm trees, including the exotic bwa-bannann (known as the wood banana) and 13 coco de mer, or sea coconut. The island has been Brendon’s life, and as he has struggled and toiled to create a spectacular home, it has repaid him by giving him a tonic that no doctor can prescribe: a real sense of purpose and meaning. Out in the Indian Ocean, Brendon Grimshaw, Dewsbury-born and Yorkshire proud, is still living the dream. This daredevil diver is working himself up into a right lava - by trying to mould red hot 1,000C molten rock with his own hands. 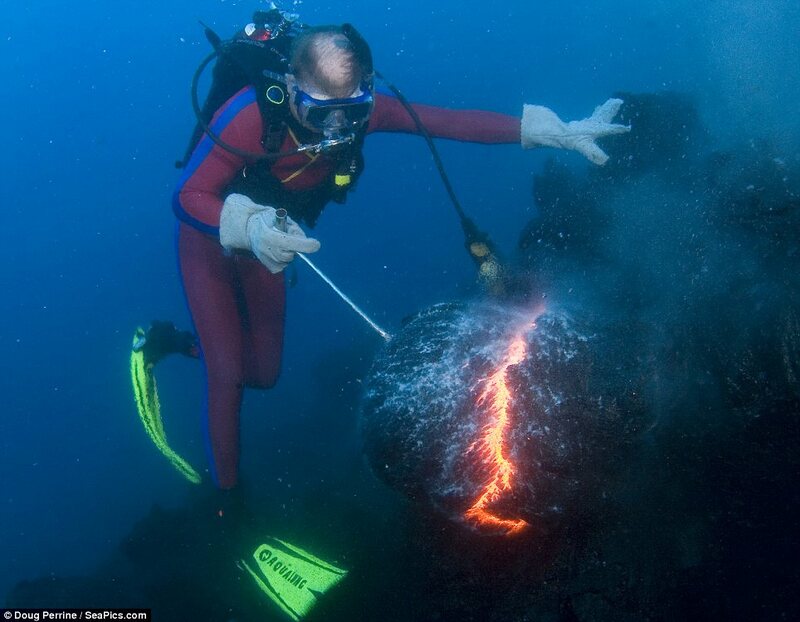 Bud 'the Lava Man' Turpin is pictured here descending 130ft to the lava tube of Hawaii's Kilauea volcano, using nothing but a pair of welding gloves and a fishing hook to make 'molten moose heads'. But, despite risking instant death if a lava shelf breaks and falls on him, the would-be sculptor's sensational creations were destroyed almost instantly, before completion, by the constantly erupting volcano. In order to pictorially preserve his natural 'art', the Lava Ocean Adventures co-founder brought along photographer Doug Perrine to chronicle his adventure. Perrine, 59, said: 'Bud braced his legs against the lava tube, which still had hot flowing lava right under the crust. He grabbed the erupting nose of the lava flow with his gloved hands. The angry Kilauea volcano has been constantly erupting since 1983 and has spewed out so much molten rock that it now covers 550 square miles on the south east coast of the Island of Hawaii. In fact the name Kilauea means 'much spreading' in the local Hawaiian language. Perrine added: 'There are several ways to die while doing this. The most likely would be that a large section of unstable cooled lava shelf would break off while we were diving, and slide into deep water. 'This effect creates a suction that pulls any nearby divers down with it, and could easily take us to great depths while disorienting us - so we wouldn't know which way was up. Doug explained how Bud came up with the idea of risking his life to shape lava for the sake of art. (C) the track they had previously taken. If you weren’t one of the 128 passengers plucked off the Clipper Adventurer in August 2010, count yourself lucky. While the Transportation Safety Board’s April 26 statement on its investigation report strikes a positive note, a read of the report tells a different story. The report shows the Clipper Adventurer lacked essential equipment and that there were serious missteps made before and after the ship grounded Aug. 27, 2010 on a charted shoal. First, the planning practice on board the Clipper Adventurer did not fully comply with the ship management company’s own quality, safety and environmental protection program, the TSB report says, and the bridge team did not use the bridge procedures guide to evaluate their passage plan. The TSB also found the Clipper Adventurer’s management company did not provide staff with safeguards that can help lessen the risks associated with sailing in the Arctic: there was “no serviceable forward-looking sonar” and no one ensured navigational warnings about hazards, called “NOTSHIPS,” were obtained. “The investigation could not determine why the bridge team were not aware of NOTSHIPs, nor why they did not seek them out from the readily available sources while planning and conducting the voyage,” the report says. That was just the beginning of the problems revealed by the report. Heading into the Coronation Gulf, the bridge team decided to take a route that turned out to be disastrous. 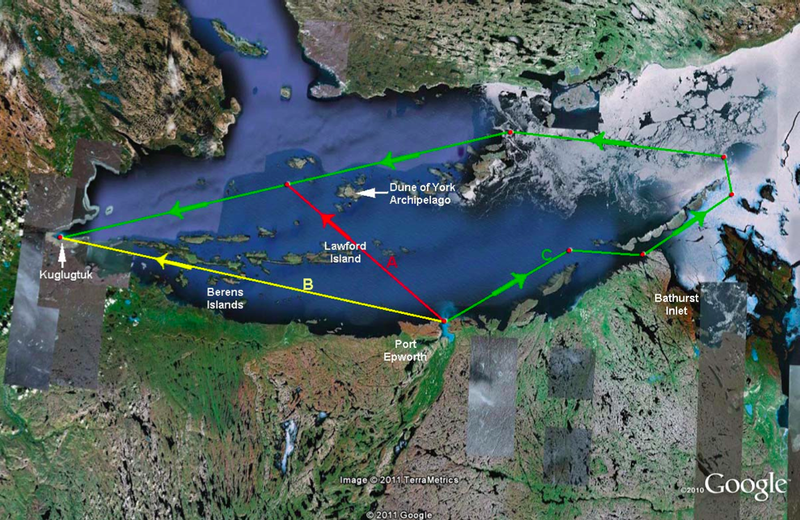 The master and bridge team considered three routes from Port Epworth to Kugluktuk (shown in map above). The first, (A), was a course north from Port Epworth, crossing an island on a single line of radar soundings before proceeding west parallel to the islands, also on a single line of radar soundings. A second option, (B), of proceeding west between the southern shoreline of Coronation Gulf and the island using a single line of soundings was also considered. 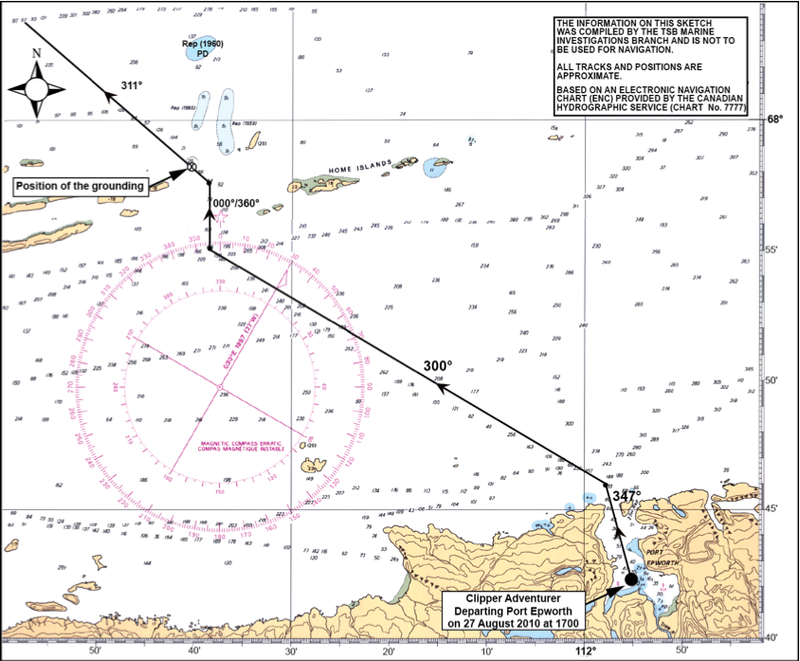 A third alternative route (C) consisted of using a track that they had already successfully navigated northeast back to the main surveyed channel. The bridge team elected to take the first option — which proved to be an error. Clipper Adventurer Arctic Itinerary for 2010 before the addition of Port Epworth. Throughout the voyage planning process, the master and ship management company were aware that the forward-looking sonar was not serviceable, the TSB notes. But they did not use one or more of the portable echo–sounder equipped zodiacs to travel ahead of the ship, a method previously used by the ship in other unsurveyed areas in the Arctic and Antarctica, the TSB says. 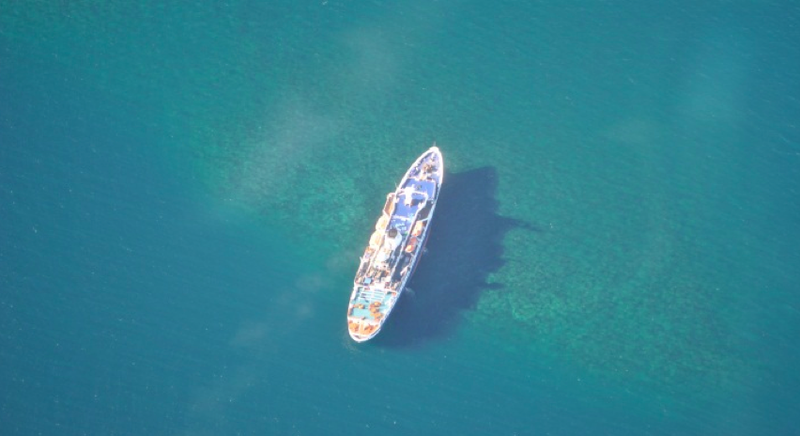 This aerial photo included into the Transportation Safety Board report into the August 2010 grounding of the Clipper Adventurer shows what the ship looked like as it was stuck on the rock in the Coronation Gulf, about 55 nautical miles east of Kugluktuk. The Clipper Adventurer was also moving at full speed at 13.9 knots when it slammed into the shoal, which had been previously identified and reported in a NOTSHIP. And it’s up to ships to obtain information about NOTSHIPs by other means. After the Clipper Adventurer slammed into the hard rock shoal at about 6:30 p.m. Aug. 27, the problems continued. The crew encountered delays in telling authorities what had happened, and it took 40 minutes for passengers to get mustered into their life jackets. With CCGS Sir Wilfrid Laurier in the foreground, three arctic tugs get ready to make an attempt to pull the cruise ship off the ridge. It would take a fourth tug MV Pisurayak Kootook to finally shift the ship. At first, a Hercules aircraft was going to be sent to the ship, but when it turned out that the Clipper Adventurer was just listing and not taking on water, the Coast Guard’s Amundsen was dispatched to the rescue, finally arriving there Aug. 29 at about 1 a.m., using all its sonar equipment “to ensure its own safety,” the TSB notes. But before the Amundsen arrived, the crew of the Clipper Adventurer decided to make an attempt to refloat their ship. “Upon deciding to refloat the vessel after the grounding, the master did not have sufficient damage stability information to assess whether or not the vessel would be stable once off the shoal,” the report states. The master’s knowledge of damage was limited to which tanks were flooding. But the actual condition of the hull, including the hull structure under the machinery space, “which had been damaged and significantly deflected,” was unknown. But the master ran the main engines during the first attempt to refloat the vessel. “During these attempts, the passenger’s shipboard routine continued as normal and, though they were kept informed, they were not re–mustered,” says the TCB. Fortunately, the Clipper Adventurer remained upright and no one was injured. The video continued to record data after the grounding, overwriting the data recorded at the time of the grounding. Passengers were evacuated to Kugluktuk, the 69 crew members initially stayed on board the Clipper Adventurer while tugs tried to get the vessel off the shoal. On Sept. 1, a dive team and a salvage company arrived on site. The dive team discovered that the hull had sustained extensive damage and that 13 double–bottom tanks and compartments including four full diesel oil tanks were holed, as opposed to the seven originally reported by the crew. Tugs struggled for two weeks to get the ship off the rock, and finally the crew was evacuated. On Sept. 14, with weather conditions again deteriorating, another attempt was made using the tugs Nunakput, Kooktook, Point Barrow and Alex Gordon, and the ship broke free from the bottom and accelerated rapidly off the shoal. The Clipper Adventurer was towed back to Cambridge Bay. It finally headed to Greenland and then Poland where permanent repairs were completed, including replacement of the broken forward-looking sonar. To improve safety, when a ship now first reports to NORDREG, a summary listing of all Arctic NOTSHIPs will be attached to the NORDREG clearance message. And in 2013, Canadian Hydrographic Service will establish a procedure to update navigational charts north of 60 degrees when a hazard to navigation is discovered. The TSB notes that until 1988, there were few cruise ships voyaging to the Arctic. From 1980 to 1987, only four Arctic voyages were conducted by one cruise ship. However, over the past seven years, there have been a total of 105 voyages conducted by seven different cruise ships. With approximately 105 passengers per voyage, there are now at least 1,575 cruise ship passengers in the Arctic every year. Of 118 ships in the Canadian Arctic that conducted 284 voyages in 2011, there were 15 tankers and seven cruise ships. “Tankers are considered to be of high risk because an accident could have severe environmental consequences. Passenger vessels are also considered high risk since, among other consequences; an emergency in the Arctic could leave passengers and crew stranded for an extended period of time in a harsh environment,” the TSB states. Two tankers also grounded in 2010: the Woodward tanker Nanny near Gjoa Haven and the Mokami near Pangnirtung in early August. Warm up your credit cards because Uncle Sam is having a garage sale. For the price of $100,420, you could be the proud owner of the Sea Shadow prototype stealth ship. And that’s not all — by ponying up all that cash, you’ll also be agreeing to take possession of the Hughes Mining Barge (HMB-1), which was reportedly built to hide the CIA’s recovery of the downed Soviet submarine K-129. Two great pieces of outdated top secret history for the price of one. The sale of the two craft is being handled by the General Services Administration’s auction site –think of it as eBay for government surplus. The auction only has five days left, a reserve of $10,000, and a top bid placed just this past Friday of $100,420. Of course, there are some catches. In addition to the sky-high asking price and needing to take possession of both Seas Shadow and the HMB-1 simultaneously, the terms of the deal require that the winner of the auction completely dismantle the Sea Shadow for scrap. Sorry guys: No pleasure boating. THE EX-SEA SHADOW SHALL BE DISPOSED OF BY COMPLETELY DISMANTLING AND SCRAPPING WITHIN THE U.S.A. DISMANTILING IS DEFINED AS REDUCING THE PROPERTY SUCH AS IT HAS NO VALUE EXCEPT FOR ITS BASIC MATERIAL CONTENT. 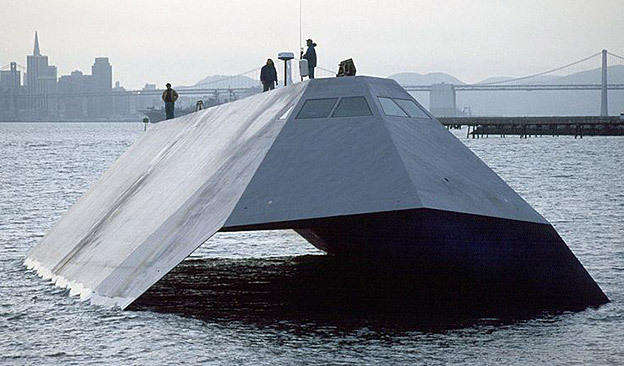 The Sea Shadow was built by Lockheed Martin and DARPA in 1985 to test stealth concepts on naval craft and ship automation. The comparisons between it and the angular design of the Lockheed F-117 stealth fighter are immediate to the eye, and the Sea Shadow was built only four years after the aircraft’s first flight. The Sea Shadow has been paired with the HMB-1 since its inception, and the floating drydock has continued to house the craft after it was removed from service in 2006. Since then, the pair have been quietly rusting in the Suisun Bay Reserve Fleet, with the hopes that an interested museum would want to take on the strange vessel. There were, obviously, no takers. The HMB-1 has had a bit of a storied history itself. A completely submersible drydock barge, it was built to work in conjunction with the Glomar Explorer as part of an elaborate CIA effort to raise the Soviet submarine K-129 called project Azorian. Built by eccentric mogol Howard Hughes, the barge featured a retractable roof and was meant to fit beneath the Glomar where a large mechanical arm would descend to the ocean floor and pluck the submarine from the depths. Though operation Azorian was only partially successful, HMB-1 found new life as the perfect way to develop and test the Sea Shadow away from prying eyes. And if all that isn’t enough, the Sea Shadow inspired the ship used in Tomorrow Never Dies. If that’s not enough to get you to plonk down a life’s savings than I don’t know what will. To ride is to be passionate about nature.You have to face nature the way it is, pit your strength against it, and stand in front of it humble and confident at the same time. Nature is wild and unpredictable. Building on the success of the 2010 release, The Watermen Experience, Oxbow and Poor Boyz Productions team up again for this year’s film: Walls of Perception. The new production presents 7 amazing riders (Matt Meola, Kai Lenny, Duane Desoto, Levi Siver, Jason Polakow, Antoine Delpero, Ian Alldredge) surfing different spots around the world (Maui, Oahu North Shore, Coco Islands ), before bringing them together in one unique place: the Marshall Islands. The islands are a magic playground where everything becomes possible, where you can engage in all the various disciplines (shortboard, longboard, stand-up paddle, windsurf, kitesurf). Shown from the riders’ perspective, the Oxbow team breaks down the stereotypical walls of the surf industry proving that there is no wrong way to ride a wave. The riders of the Oxbow team bring us their unique spirit once again, with a production that’s really out of the ordinary and which reflects their authentic mindset. Always looking for epic sessions and unique sensations, they invite us into their daily life, so that we can understand and share how they feel when they ride: their Walls of Perception.